In order to refinish cut work surface edges properly - thus protecting the core of the worktop and creating a neat, finished appearance - worktop edging is essential. Our Glacier Earthstone worktop edging measures 980mm x 38mm x 6mm and matches our Glacier Earthstone worktops perfectly, boasting a clean, white colour that looks great in any style or colour scheme. Manufactured using high-quality non-porous acrylic, this white acrylic worktop edge is resistant to mould, mildew, bacterial growth and a large proportion of household stains. It can be cleaned easily using a soft cloth and warm soapy water. 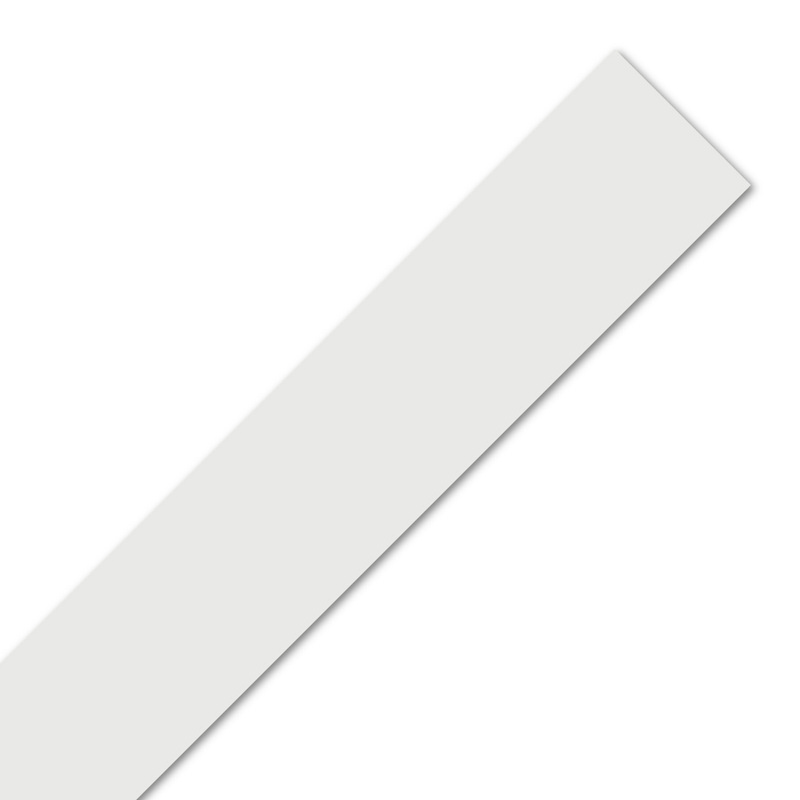 This white acrylic worktop edge should be applied to the cut sides of any Glacier Earthstone worktop, thus protecting the chipboard core and providing a neat, professional finish. Glacier Earthstone worktop adhesive has been designed to match the colour of our Glacier Earthstone worktops perfectly, ensuring that any seams are invisible to the eye, and as such we would advise using this to attach your white acrylic worktop edge. This edging strip may need to be filed slightly when in place to ensure a flush fit with the rest of your work surface.